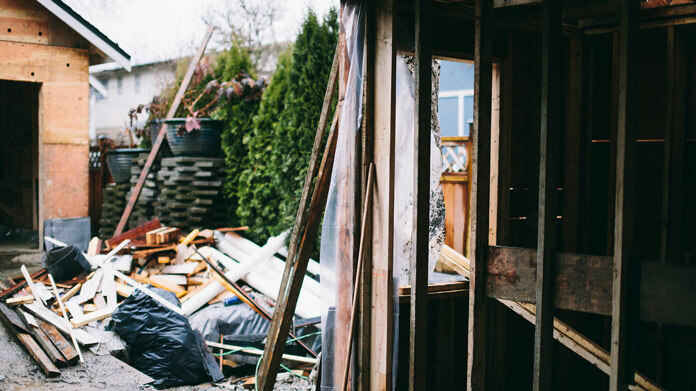 Our guide on starting a construction contractor business covers all the essential information to help you decide if this business is a good match for you. Learn about the day-to-day activities of a construction contractor business owner, the typical target market, growth potential, startup costs, legal considerations, and more! Building new or additional structures seems to be an inevitable part of human progress. Construction contractors are the people and businesses who build the residential and commercial structures for their clients. Construction contractors often have to wear a number of different hats. They are responsible not only their own crew and business’ success, but also the construction and completion of the customer’s house or commercial structure. Being able to manage finances, organize workers and materials, and effectively communicate with customers are all critical for business success. What happens during a typical day at a construction contractor business? Your target market will be individuals and families with enough continuing assets to afford to build. Often, clients with just enough to make a project work will become nervous about the money being spent during the job. This may cause them to cut corners or put a job on hold, indefinitely. This kind of inconsistency will erode your business quickly. A customer’s bottom line must be financially solid enough for them to continually supply the funds to keep the project moving, no matter the economy. Part of your assessment of your clients, therefore, has to be their overall financial sustainability. Consider them as a partner in your business, while you complete their project. How does a construction contractor business make money? Construction contractors are paid to start, continue, and complete the build project. Money is supplied, up front, to buy materials and pay workers to begin the project. The customer is then billed regularly for the continuing work and materials, and again, at the completion of the project. The contractor will make their cut after all other bills and workers are paid. What is the growth potential for a construction contractor business? Construction is constantly taking place. New houses and neighborhoods are popping up daily. Just the same, the construction industry is competitive and, at times, saturated with workers and businesses looking for work. Growth potential is fairly good, but you must make sure you stand out from the crowd, both with your build creativity and skill, as well as with your professionalism and business acumen. Annually, residential construction industry earnings in the U.S. average in the multi-billions. The industry is robust, yet businesses fold every year from lack of a proper business plan and mismanagement of earnings. You won’t get rich overnight, but there is plenty of room to grow and establish your business long term if you plan properly and stick to your plan. What are some skills and experiences that will help you build a successful construction contractor business? A successful construction contractor must be familiar with reading blueprints, following work plans, understanding construction fundamentals, and communicating successfully with a crew and the clients. Having a background in construction is necessary to avoid costly mistakes from lack of experience. It is best to apprentice with an experienced contractor first, in order to learn the finer points of guiding your own business. You should also be well versed in small business finances and employee management techniques. Finally, being able to talk to the customers and your crew will often play a large part in developing your overall reputation as a contractor and business owner. What are the costs involved in opening a construction contractor business? Starting your own contractor business won’t be cheap. You’ll need professional quality tools and equipment, business licenses and insurance, including workman’s comp, as well as advertising, to make people aware of your business. You’ll also need reliable transportation and a trailer for hauling materials, tools, and other pieces of equipment necessary for the job(s). Finally, you’ll need a company phone and website, as a method for connecting and communicating with clients. Initially, you’ll want to start small, and grow as the work becomes steady. A beginning figure in the $10,000-15,000 range will get you started but, be careful not to overspend without work to support your bottom line. What are the steps to start a construction contractor business? Form a legal entity. Establishing a legal business entity prevents you from being personally liable if your construction contractor business is sued. Open a business bank account. 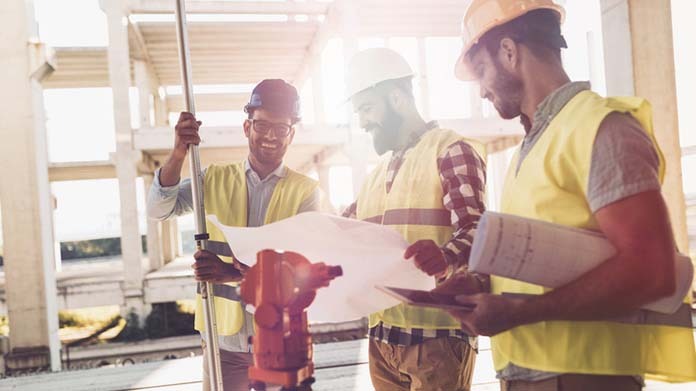 A dedicated checking account for your construction contractor business keeps your finances organized and makes your business appear more professional to your customers. What are some insider tips for jump starting a construction contractor business? Create a catchy name and logo for your business. Advertise for free or low cost as much as possible. Social media is a great option. Start with a small crew and expect to be directly involved in the day to day construction. Choose your clients wisely. Customers who make big promises and flash expensive numbers should be approached with caution. If it seems too good, it is. Manage your budget and earnings tightly for your first five years. Essentially, you need to bank enough earnings to help you stay afloat during the lean times, sometimes up to two years. Marketing and promoting your construction business will be a critical first step, as well as a continued integral aspect of your business’ success. Although word of mouth and personal referrals are possibly your most powerful tools for garnering more business, your reputation won’t be established when you first start. Incorporate social media sites into your advertising plan. This is an inexpensive and effective way to spread the word about a new business. You will probably want a business website, as well. This offers customers a point of contact and gives them a portfolio of your work. Join contractor organizations, such as the Associated General Contractors and Associated Builders and Contractors, Inc. These organizations are here to support and give guidance to new and established builders, alike, and often help potential customers find you or inquire about your work history. Linking these sites on your website also helps to legitimize you in the eyes of potential customers. You should also consider business cards, flyers, posters, and signage for your office and job sites. When a potential customer sees your work and can quickly associate the work with a company name, you have a much better chance of capturing the business. Cards and flyers are great for initial meetings and quotes and many contractor supply stores will allow you to post a card or flyer for customers to see and take. Business reputation goes a long way in attracting new customers and garnering referrals or additional business from past customers. But, how do you build a solid reputation? The finished product will be a large part of the customer’s satisfaction. But, just as important will be the relationships you build with your clients. When your customers know they can count on you and you’ll produce a quality product, you will see the referrals and call backs. Don’t overpraise and underperform. Be courteous and polite, but remember that this is a business and you can’t do everything for everyone. Be honest and forthright with what you can accomplish and how much it will cost. An initially high figure is much easier for a customer to accept than extra dollar amounts during the job. By keeping communications open and realistic, you and the client will understand what is needed, what can be expected, and when the project will be completed. For a contractor construction business, a crew is a necessity. Even starting small will require a few team members. Since you’re the point person with the client, you need some reliable and multi-faceted workers to keep the build moving forward when you’re not available. Choose your crew as wisely as you choose your jobs. And don’t be afraid to make a change if a worker is exhibiting signs of lackluster performance. There are more than enough workers out there waiting to take their place. A construction contractor business is generally run out of a storefront or a mobile trailer. Businesses operating out of a physical location typically require a Certificate of Occupancy (CO). A CO confirms that all building codes, zoning laws and government regulations have been met. Before leasing, confirm that your landlord has or can obtain a valid CO that is applicable to a construction contractor business. Review all building codes and zoning requirements for your business’ location to ensure your construction contractor business will be in compliance and able to obtain a CO.
Customers are charged by job specific rates, meaning the scope of the job will influence much of the pricing. You’ll also need to determine an hourly rate for your crew and a salary for yourself. The salary will be your net earnings, as all other costs will relate to materials, workers, and day to day intangibles needed to keep the job moving forward. Research other contractors and contractor companies in your area to establish a baseline cost for your work. Be competitive, but don’t undercut your competition or overprice your services. What are the ongoing expenses for a construction contractor business? Most ongoing expenses are also job specific. Materials and equipment costs will always factor into your bottom line. Communication and advertising will also continue to factor in as costs, as well as maintenance or replacement of equipment and tools. 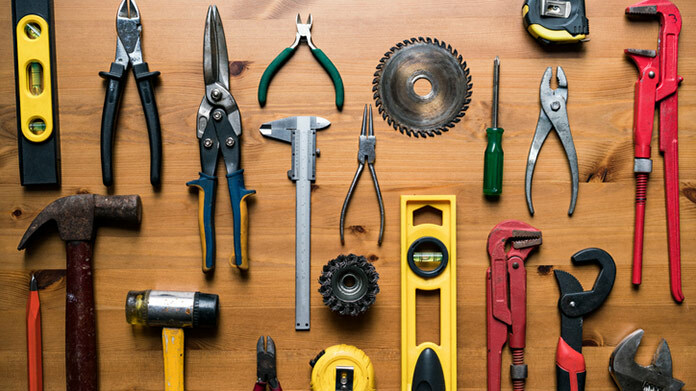 As your business grows, you may want to add additional workers, hire a bookkeeper, or hire sub-contractors to handle specific tasks, such as painting, electrical, plumbing, or HVAC installations. How much profit can a construction contractor business make? Success in the construction contractor business rarely happens overnight, so you may see many years with little net earnings. Most profits will go right back into the growth and success of the business. Once established, though, contractor work can be lucrative with businesses earning anywhere from $100,000 to $1 million annually. Some contractors choose to “lend” their contractor license to other businesses. You, as the contractor, pull the permit for the work being done and collect a fee for this service. Make sure you trust and, if possible, have a contract with the workers doing business under your license. Another option for increasing your business is to become specialized in your work. 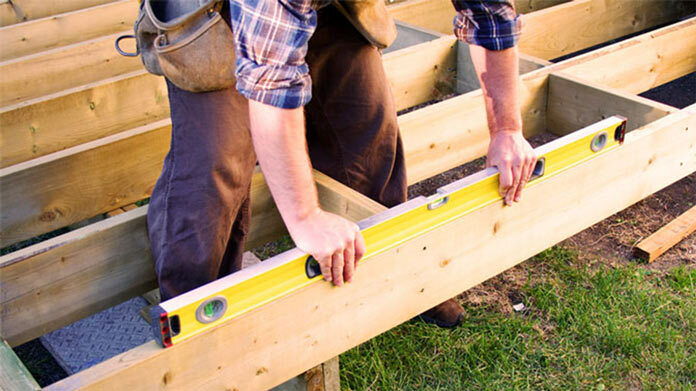 Trim carpentry, masonry and tile work, remodeling, and construction of outdoor structures, such as decks, fences, docks, and gazebos will all require a contractor’s license, but may be lower overhead projects. These are especially helpful during down periods in the economy and in your business’ work schedule.